NEW ULM — The New Ulm Community Friends will hold their 30th annual Community Thanksgiving Dinner on Thursday, Nov. 23, from 11:30 a.m. to 1 p.m. at St. Mary’s Catholic Church, 417 South Minnesota St. The dinner is open to anyone, especially those who might otherwise be alone on Thanksgiving. Roast turkey, dressing, potatoes and gravy and the trimming, all made from scratch, will beserved family style. Home deliveries and take outs are available. Please RSVP at 354-3045 before Nov. 20 if you plan to attend. Free will donations accepted and necessary to keep this event going. If you would like to volunteer we can always use help Wednesday from 8 a.m. to 6 p.m. and on Thanksgiving Day from 9 a.m. to 4 p.m. Call Mary Ellen to volunteer 354-3045. NEW ULM — American Legion Post 132 will be serving Made Rights on Saturday, Nov. 11, from 10 a.m. to 1:30 p.m., or until they run out. Dine in or take out. Thrivent Financial is donating to help defray the cost. 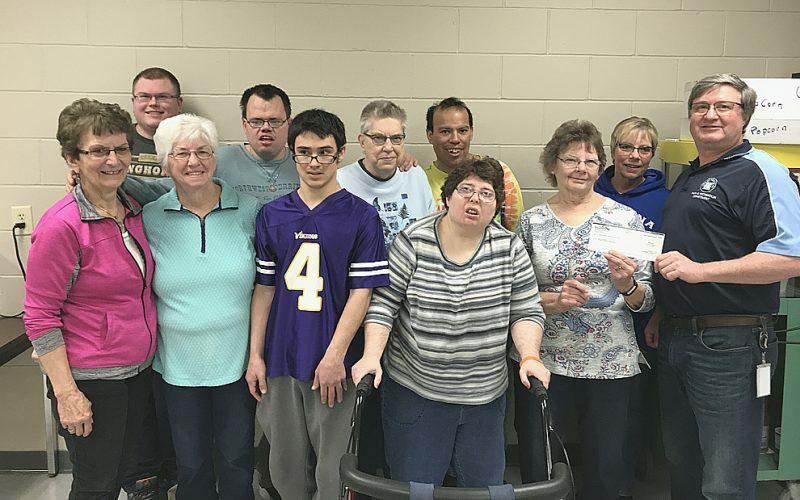 NEW ULM — The New Ulm Special Olympics team will hold a “Taste of Italy” spaghetti dinner fundraiser on Friday Nov.10, from 5 to 7 p.m. at St. Paul’s Lutheran Churc, 201 N. State St. Cost is $8 Children under 5 eat free. Take outs available. Proceeds will go to support the New Ulm Area Special Olympic Program. Donations are welcome.